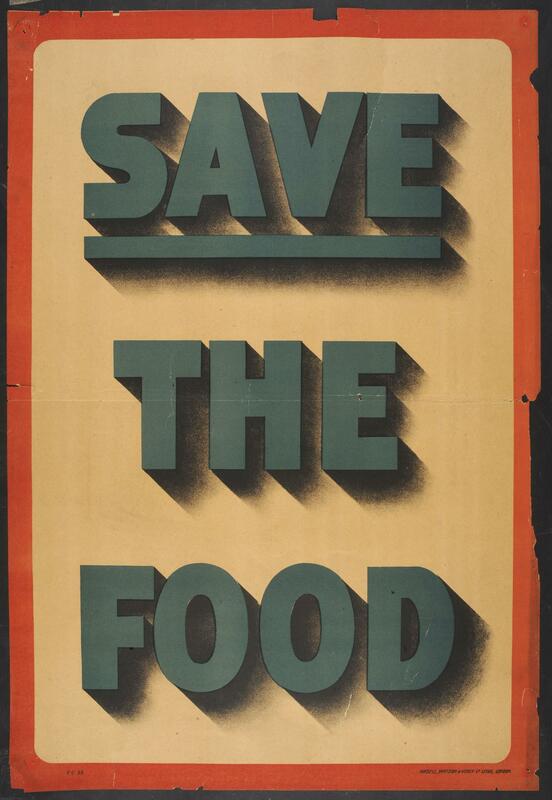 First World War recruitment poster; 'Save the Food.' Published by the Minstry of Food - Food Controller Poster No.53.Imploring people to ration and not waste food. .